Otters are highly charismatic and popular animals of very considerable concern to conservationists worldwide. Written by the pre-eminent authority in the field, this book builds on the reputation of the author's landmark monograph of the European otter, Wild Otters (OUP, 1995). Furthermore, its broader scope to include all species of otter in North America as well as Europe and elsewhere leads to a deeper synthesis that greatly expands the book's overall relevance and potential readership. Aimed at naturalists, scientists and conservationists, its personal style and generously illustrated text will appeal to amateurs and professionals alike. 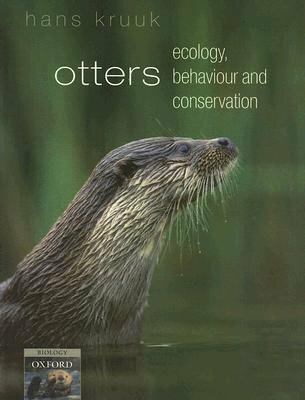 It emphasizes recent research and conservation management initiatives for all 13 species of otter worldwide, incorporates recent molecular research on taxonomy and population genetics, and discusses the wider implications of otter studies for ecology and conservation biology. As well as enchanting direct observations of the animals, there is guidance about how and where to watch and study them. From otters in the British and American lakes and rivers, to sea otters in the Pacific Ocean, giant otters in the Amazon and other species in Africa and Asia, this book provides an engaging approach to their fascinating existence, to the science needed to understand it, and to the very real threats to their survival.